To seek root canal treatment Melbourne based is not exactly the most enjoyable experiences. Yet, it certainly has the potential to improve the overall quality of your periodontal health. 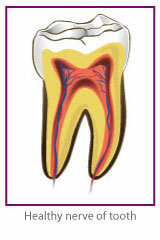 A root canal is a serious dental procedure that is performed for a reason: decay has spread well beyond the gums. 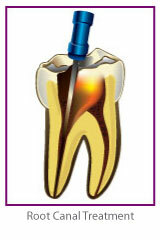 The most obvious benefit that a root canal offers would be that it can contribute to a pain free life. Yet, some are concerned about the discomfort they might feel when undergoing root canal treatment. This really should not be the prime concern a patient has. Rather, the patient will need to be concerned about reversing the seriousness of a decayed root. A root canal treatment Melbourne based dentist can tell you that it is a common misconception that root canal treatment is painful. This is really not the case at all. While such a procedure is much less comfortable as other cosmetic dentistry procedures, the fact remains that the discomfort you feel from the procedure will be far less than what would be the case if the decayed root was not treated. In fact, the seriousness of a severely decayed tooth not being treated will lead to even worse problems over time. This is because decay spreads. Of course, if freeing yourself from pain or discomfort is your main concern then you really should set up an appointment with a Melbourne root canal specialist. Such a procedure is the only way in which you can eliminate the root cause of the pain. After all, how can the problem go away if it is not treated? Such infections do not go away on their own and when the tooth has become decayed to such a high degree, only a root canal procedure might be the only effective way to deal with it. Best of all, a root canal can be performed with great speed and efficiency. 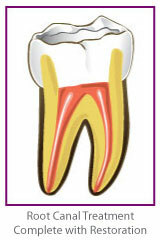 Each tooth that requires a root canal can be treated in a single session. While there will be some soreness in the aftermath recovery time, the discomfort and pain will eventually go away. This means the quality of your life will improve and your teeth will be once again restored to their previously healthy state. 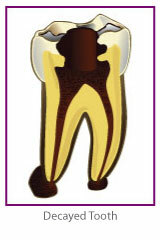 Come visit our Blackburn dental clinic today and let us help you remove the root of your problem!